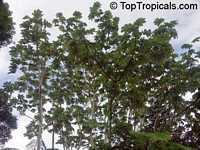 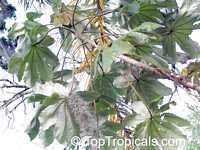 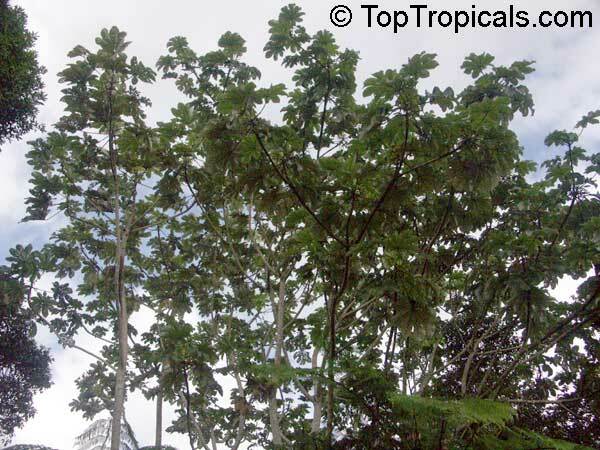 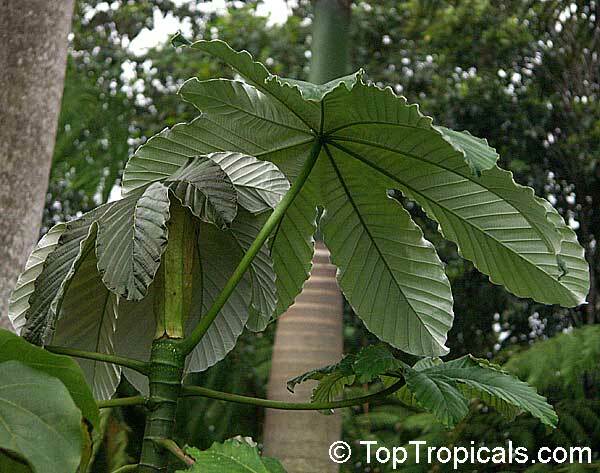 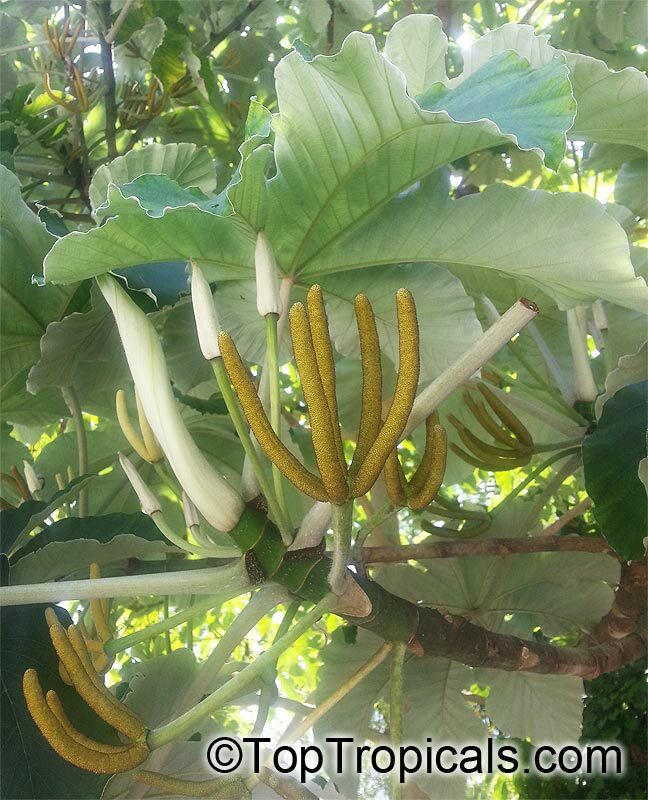 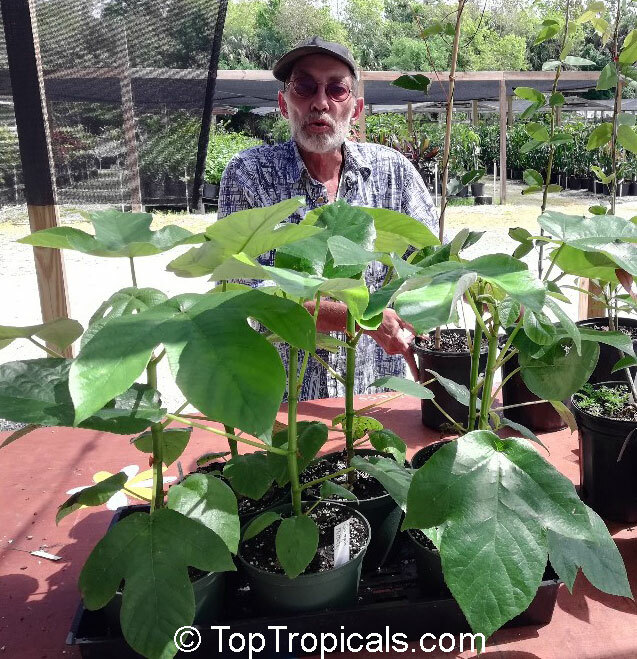 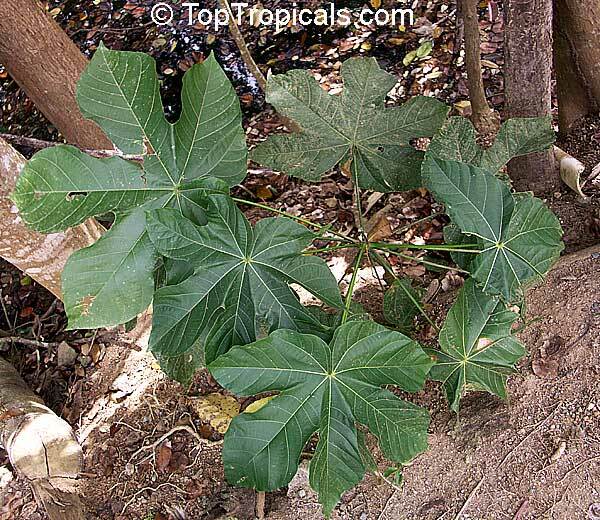 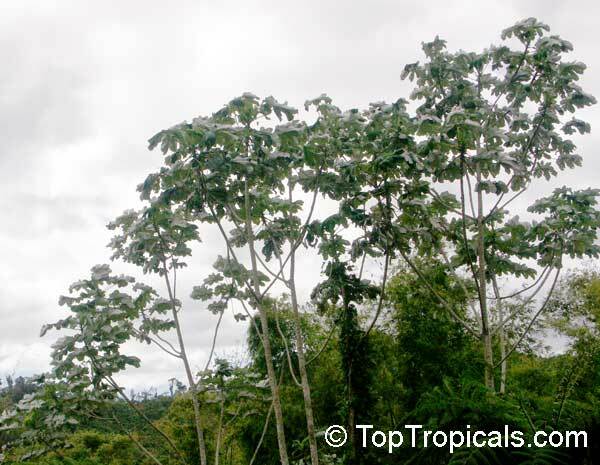 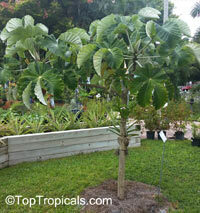 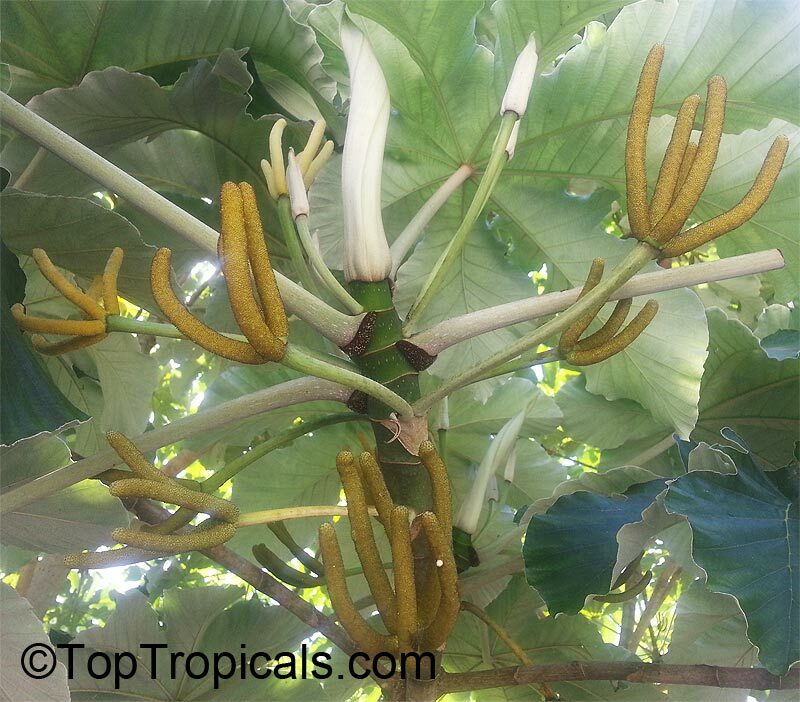 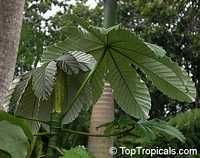 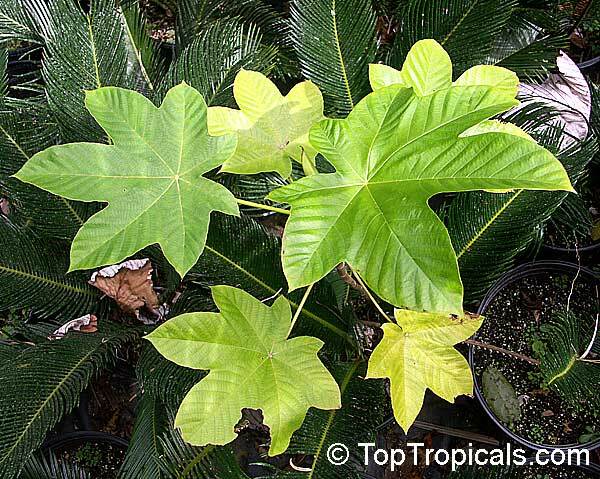 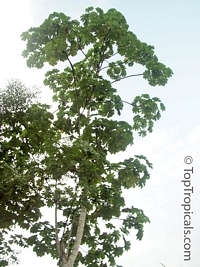 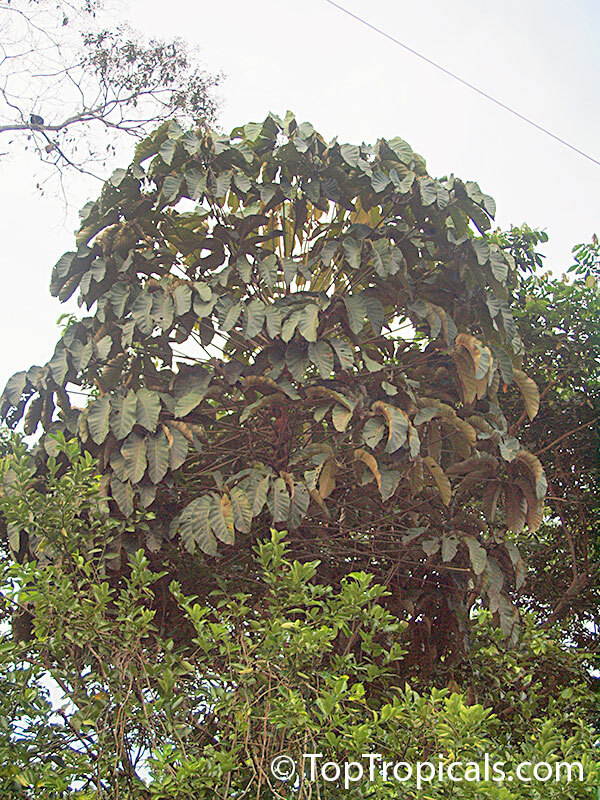 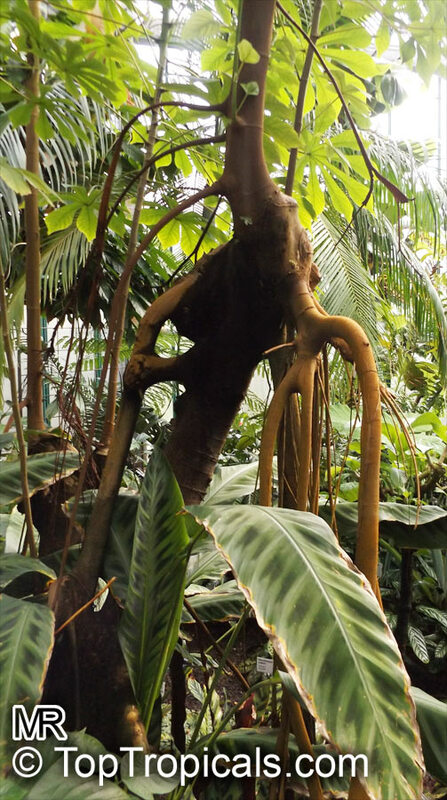 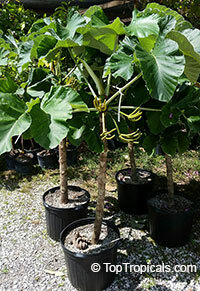 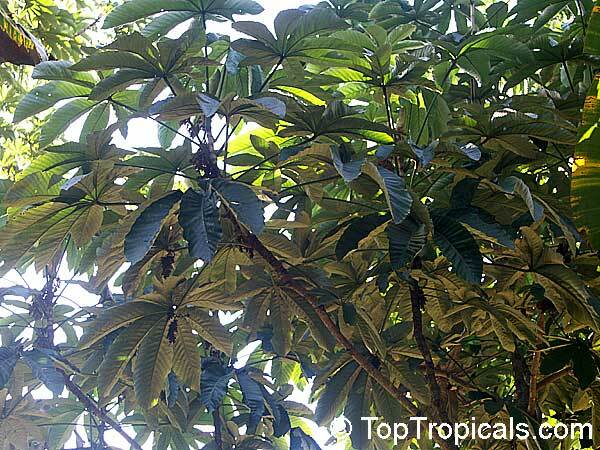 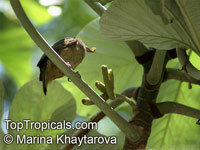 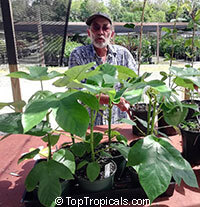 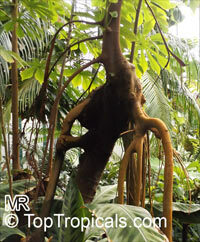 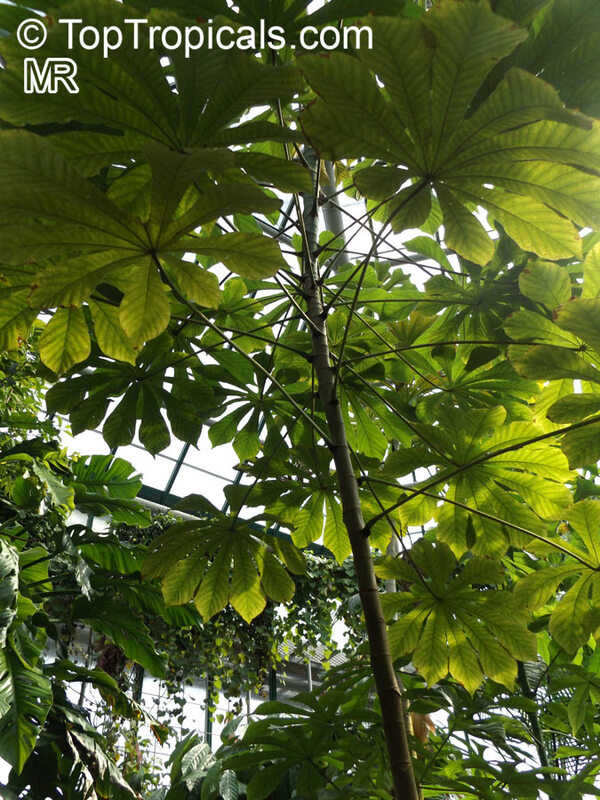 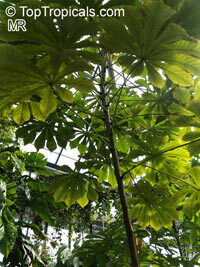 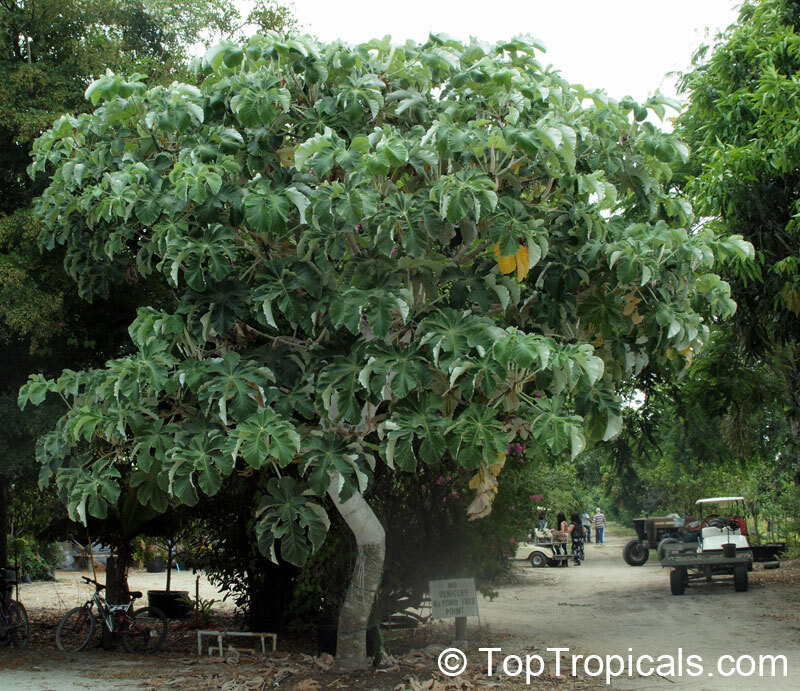 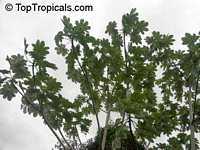 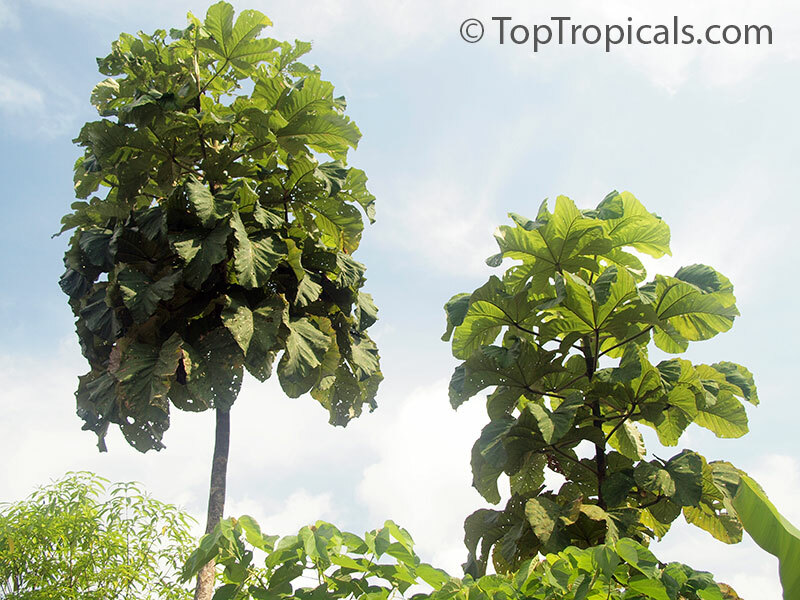 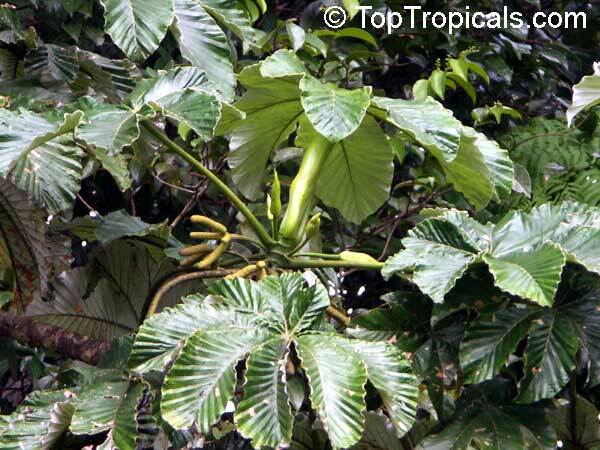 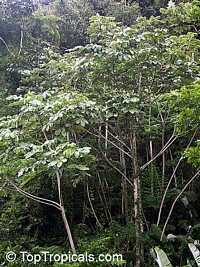 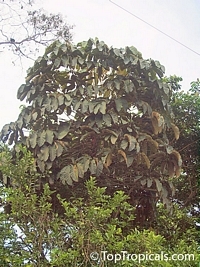 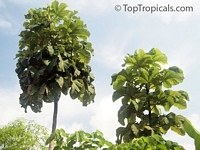 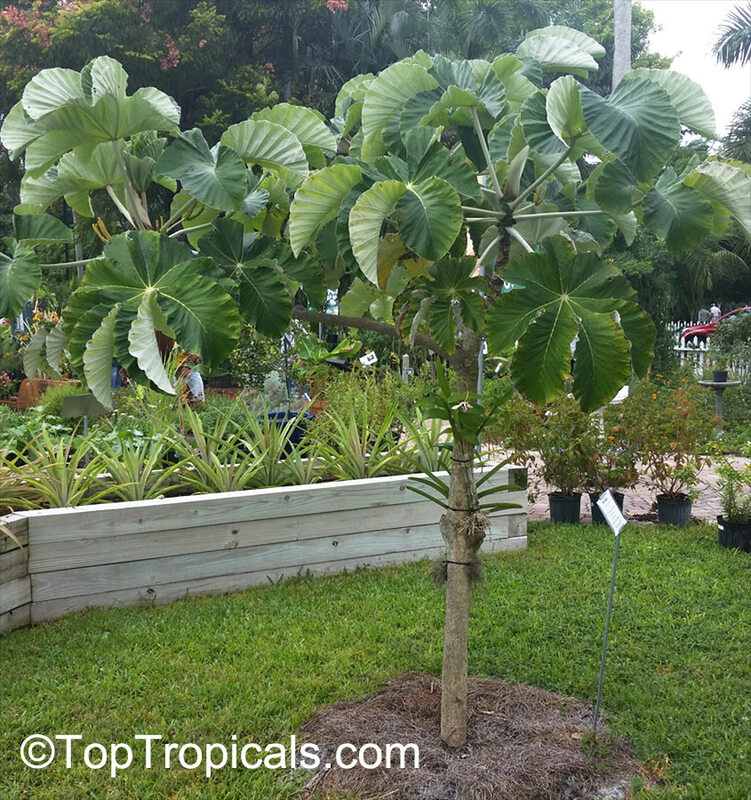 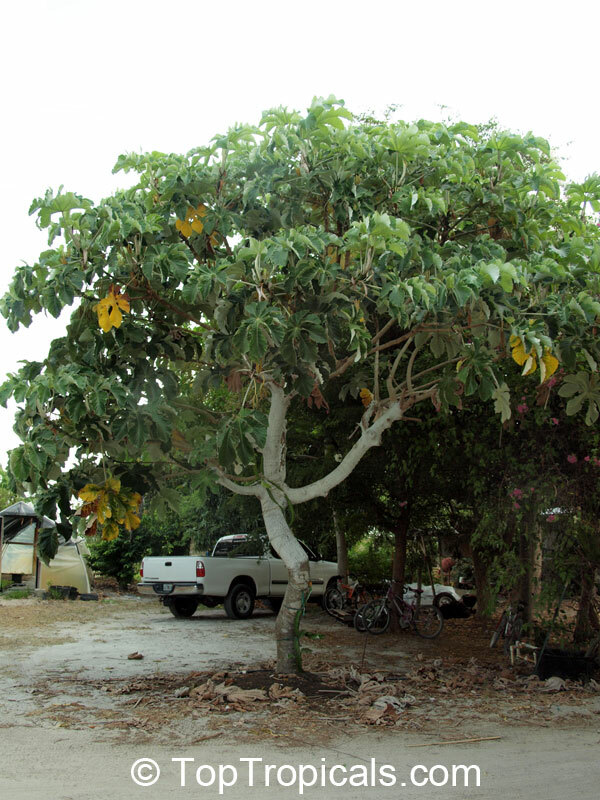 Cecropia peltata, also called trumpet-tree, is a fast growing tropical tree. 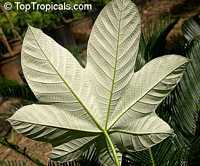 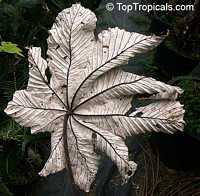 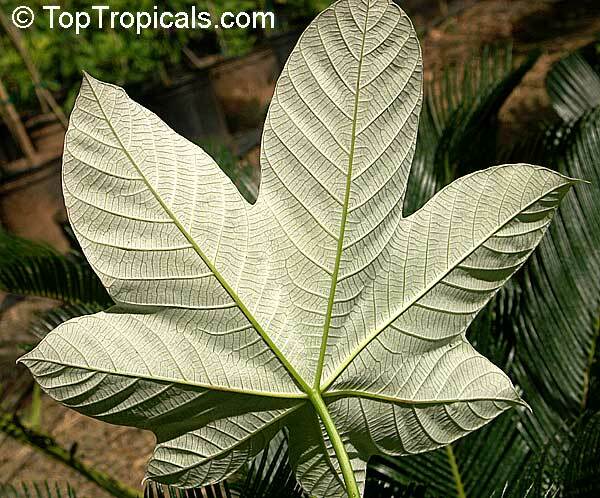 Very showy tree with spreading crown and large leaves up to 24 inches wide with silver-white lower surfaces. 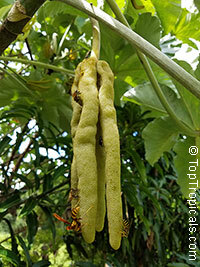 Cylindrical, soft-flesh fruit are drooping in clusters resembling octopus. 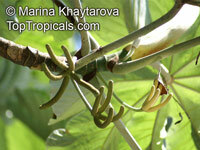 They very tasty - sweet, watery, aromatic. 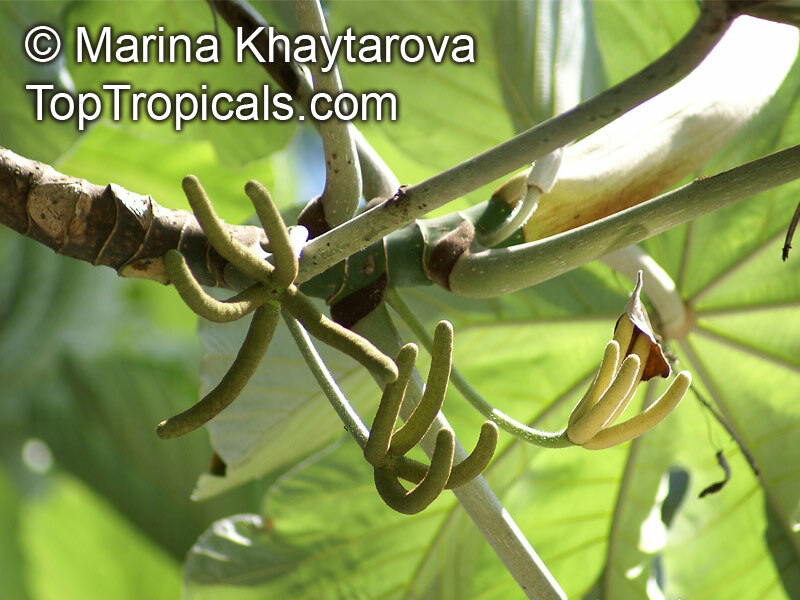 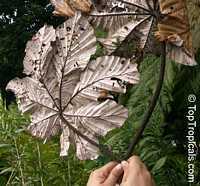 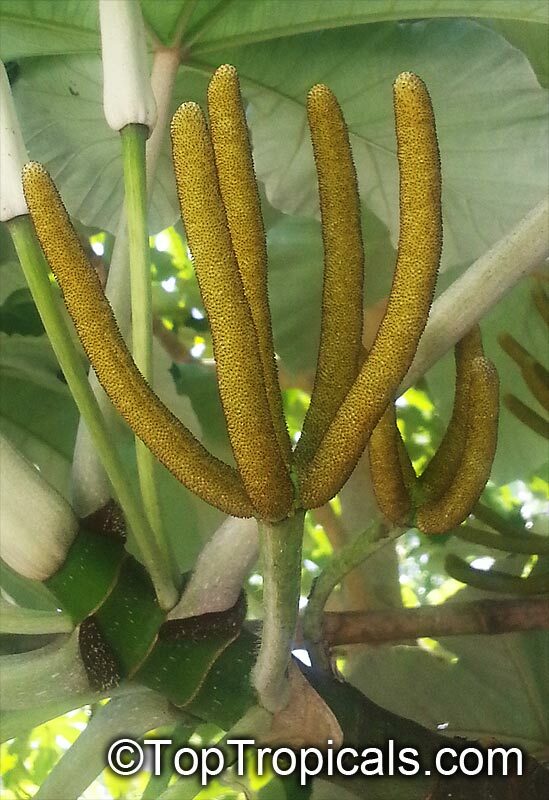 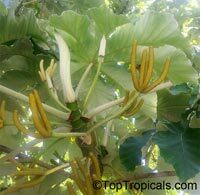 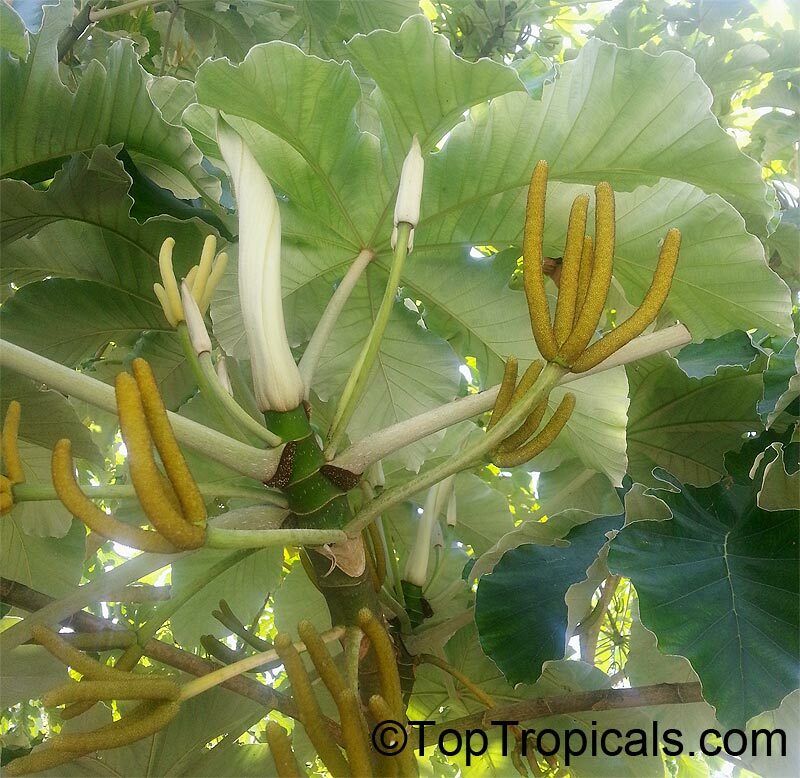 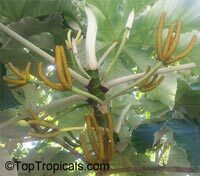 See Article: How to grow Cecropia from seeds. Cecropia is a very showy tree with spreading crown and large leaves up to 24 inches wide with silver-white lower surfaces. Cylindrical, soft-flesh fruit are drooping in clusters resembling octopus. 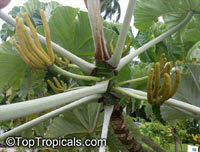 They are very tasty - sweet, watery, aromatic.